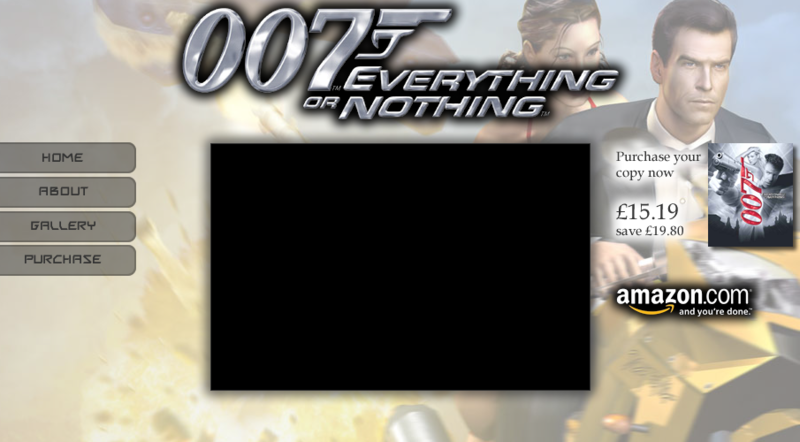 007: Everything or Nothing is a 2004 third-person shooter video game, where the player controls James Bond. Bond is modeled after and voiced by the former James Bond actor Pierce Brosnan, making it his final performance for the character in game and film. Developed by EA Redwood Shores (third-person levels) and EA Canada (vehicle levels), it was published by Electronic Arts and released for the PlayStation 2, Xbox, and the GameCube consoles. The Game Boy Advance version was developed by Griptonite Games. Although the game achieved Platinum Hits status on the Xbox, it is one of the few games that has not been made backwards compatible with the Xbox 360. This was also the last James Bond game to have an original story and title until the release of James Bond 007: Blood Stone in 2010.